In 1884, with turmoil in Italy leading to the loss of the Papal States (those portions of Italy over which the Pope had temporal/political sovereignty), Pope Leo XIII prescribed a set of prayers to be prayed after Mass by priest and people: three Hail Mary's; Hail, Holy Queen; and a collect (soon standardized as a prayer for "the liberty and exaltation of our Holy Mother, the Church"), to which was also soon added the prayer to St Michael the Archangel. These became known as the "Leonine Prayers." There was some adjustment over the years both in form and intention: Pope Pius X allowed for a three-fold invocation of the Sacred Heart of Jesus, and Pope Pius XI asked that the prayers be particularly offered for the conversion of Russia and for the freedom of Catholics there to practice their faith. These prayers were said after every Mass until 1965, when they were suppressed in an instruction regarding the implementation of the Second Vatican Council's Constitution on the Sacred Liturgy. Since the revelations of abuse this summer, many parishes and even some entire dioceses have returned to the use of these prayers. 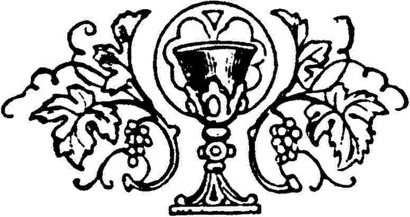 And beginning this Sunday, immediately after the dismissal at each Mass for both Corpus Christi and St Mary's, we will pray the Leonine prayers. Writing to the people of St. Mary's, Fr. West has said "We ask one another, 'What can we do?' The first line of defense against sin and evil is prayer, our best sword and shield. All of us need to commit to praying frequently and fervently against the dark forces which seek the ruin of souls, families, marriages, schools, houses of worship, and any other noble pillar of human society." And so we offer these prayers particularly for the protection of the Church and her ministers against the attacks of the enemy that have led to and exploit this time of grave scandal in the Church. While it is true that we must discern and enact those reforms necessary for the protection of our children and to promote the faithfulness of the Church's ministers, this is also and at root a spiritual battle which must be fought with spiritual weapons. The Leonine prayers are a strong and tested arrow in our quiver. There will be a card in the pew racks for you to use, and they are included [here]. We will pray the Leonine prayers at least through Advent in place of the Last Gospel (the Hail Mary's and Hail, Holy Queen also serve to commemorate the Incarnation which is the devotional heart of the Last Gospel).